IF YOU ARE EXCITED ABOUT HELPING PEOPLE AND CHANGING LIVES THERE’S A PLACE FOR YOU ON THIS YEAR’S MISSION TRIP. 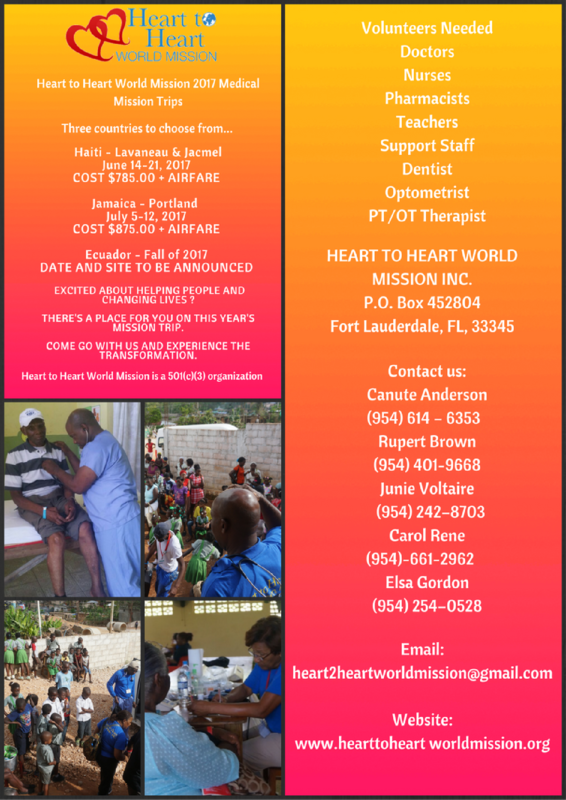 Heart to Heart World Mission invites you to come and partner with them on this year's Mission trip to HAITI, LAVANNEAU & LES CAYES - JUNE 14 - 21, 2017 . 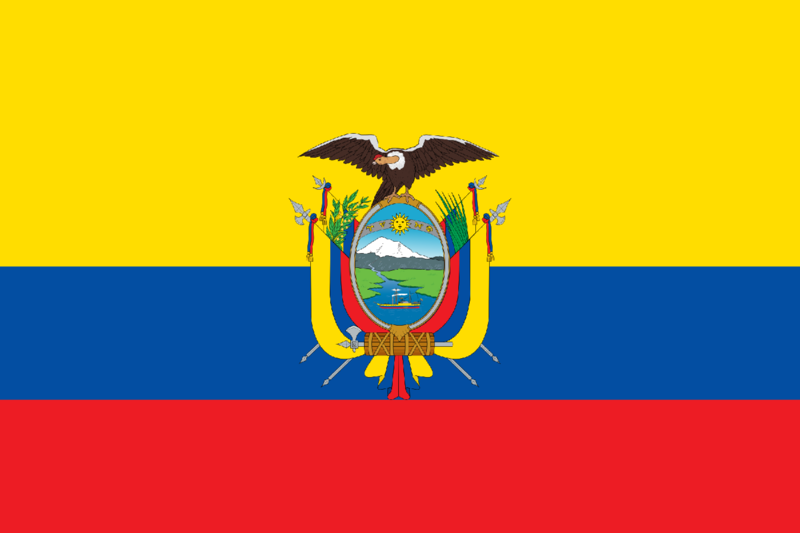 "We are in need of Doctors, Nurses, Dentists, Pharmacist, Therapists, teachers, coordinators and other medical and non-medical support staffs as well as donations and supplies." If you would like to go on this year's mission trip and have not yet registered please contact us to reserve your spot. Thank You for choosing to be volunteer. Come join us for a life changing experience as we share the love of Jesus Heart to Heart World Mission is a 501(c)3 Nonprofit organization. 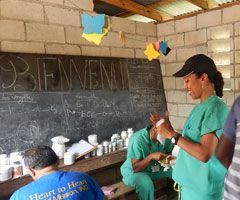 Jamaica mission trips are an amazing opportunity to find where God is at work and join Him.The island of Jamaica is known for its beaches and no worries attitude, but there are people with need just beyond the resorts that line the north shore of Jamaica. 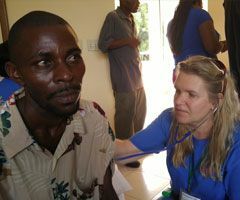 Our work is directly connected with local ministries and is having a long term impact. Remember* price subject to change so book early. TRANSFORMING LIVES ONE HEART AT A TIME.